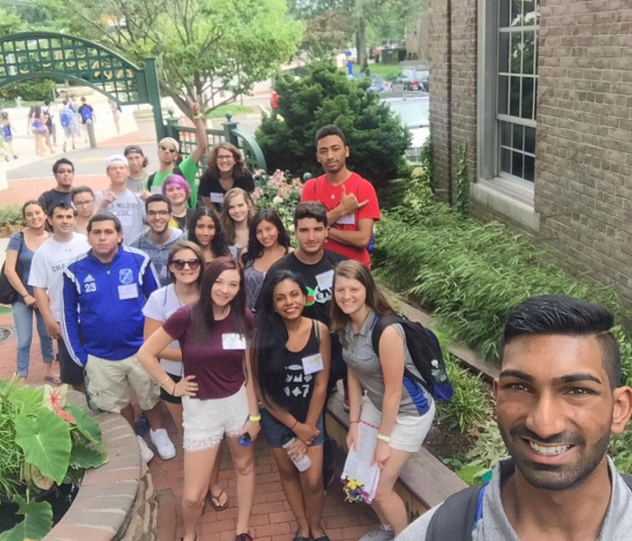 Photo via HofstraOrientation on Instagram. There won't be too many days during the semester when you don't have to worry about going to class or finishing homework. Use this free time to take an Explore Next Door trip, meet new people, organize your room, or shop at Roosevelt Field Mall! A lot of new things come with moving into campus, one of them being carrying around your dorm room key everywhere you go. Always do a mental check for your Hofstra ID card and key before leaving the room. If you do get locked out (don't worry, everyone will at least once) just call Hofstra's Public Safety and they'll help you out. Test and essays will start sooner than you think! Find a spot on campus that makes you feel focused and motivated. Whether it's Hammer Lab or the 10th floor of the library, you'll want to have this spot set before midterms and finals. Don't be that student that only walks across the Unispan to go from class back to their dorm room. Stop by the Student Center and check out the club tables. Be social, join a club or attend meetings during common hour. 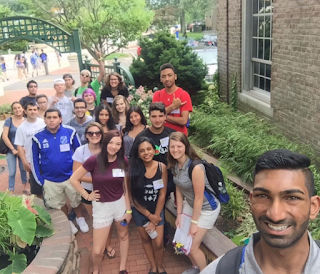 It's the fastest way to feel part of the Hofstra Pride! Put some time aside before you leave home to learn how to do laundry. Ask your family members what kind of clothes to wash together and what kind of detergent to use so you'll the expert on your floor. Also, use the timer on your phone to remind you when your laundry is done! Get to know all the services Hofstra offers. This includes the technology repair center, tutoring, writing center, career and health center. Professors are required to have office hours so you should use them! This slot of time allows you to meet with your professor to ask questions, network, and resolve any problems. TIP: Many students get internships or jobs through their professors. Although Hofstra lets you have a car on campus starting freshman year, this doesn't mean you absolutely have to bring one. Many students just rely on using Hofstra's train and shopping shuttle. Use this free transportation service to catch the LIRR into the city, go on a shopping spree or stock up on groceries. Growing up means more responsibility. If you never used an agenda in high school you might want to consider buying one for college. They're so many more things you'll have to remember to do and writing it down or typing it into your phone will make a big difference. One of best parts of being a student is probably college discounts. Apple offers them every year and many phone carriers do too. On campus, you'll be bombarded with free food and T-shirts. Take advantage of any free events like Hofstra's Fall Festival!